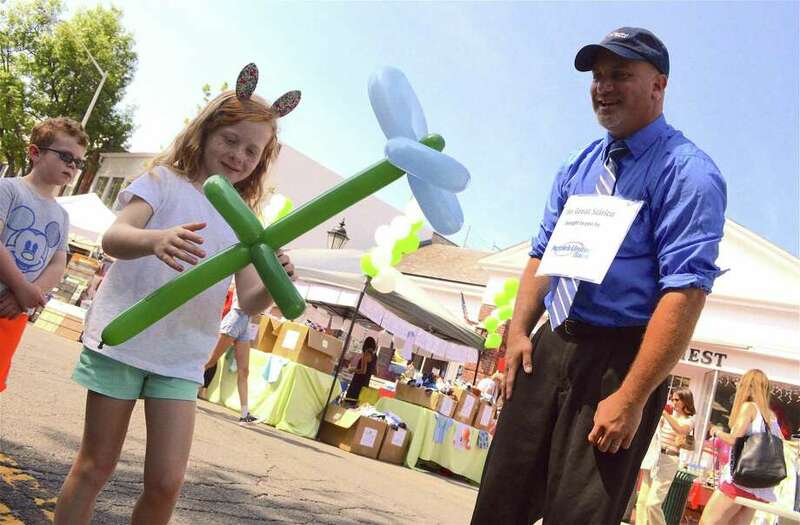 NEW CANAAN — For more than 50 years the Chamber of Commerce Village Fair & Sidewalk Sale has made downtown a consumer carnival, and Saturday was no exception. “It’s great because the community comes out,” said David Van Buskirk of the Chamber’s Charitable Foundation Board. “We’ve got businesses and nonprofits,” along with face painting, food and tons of sale items. “I love it,” said Marie Aspinwall, a New Canaan native representing the Lapham Community Center. “It’s so much fun just to be able to walk up and down and see all the friends and all the faces,” she said.